Endothelial progenitor cell is a term that has been applied to multiple different cell types that play roles in the regeneration of the endothelial lining of blood vessels. Outgrowth endothelial cells are an EPC subtype committed to endothelial cell formation. Despite the history and controversy, the EPC in all its forms remains a promising target of regenerative medicine research. 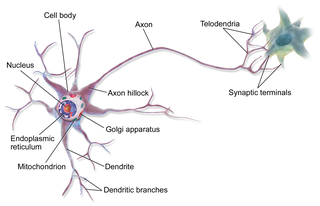 A neuron, also known as a neurone and nerve cell, is an electrically excitable cell that communicates with other cells via specialized connections called synapses. All multicellular organisms except sponges and Trichoplax have neurons. A neuron is the main component of nervous tissue. 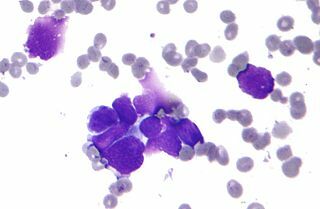 Cancer stem cells (CSCs) are cancer cells that possess characteristics associated with normal stem cells, specifically the ability to give rise to all cell types found in a particular cancer sample. CSCs are therefore tumorigenic (tumor-forming), perhaps in contrast to other non-tumorigenic cancer cells. CSCs may generate tumors through the stem cell processes of self-renewal and differentiation into multiple cell types. Such cells are hypothesized to persist in tumors as a distinct population and cause relapse and metastasis by giving rise to new tumors. Therefore, development of specific therapies targeted at CSCs holds hope for improvement of survival and quality of life of cancer patients, especially for patients with metastatic disease. The CD44 antigen is a cell-surface glycoprotein involved in cell–cell interactions, cell adhesion and migration. In humans, the CD44 antigen is encoded by the CD44 gene on Chromosome 11. CD44 has been referred to as HCAM, Pgp-1, Hermes antigen, lymphocyte homing receptor, ECM-III, and HUTCH-1. The low-affinity nerve growth factor receptor is one of the two receptor types for the neurotrophins, a family of protein growth factors that stimulate neuronal cells to survive and differentiate. LNGFR is a member of the tumor necrosis factor receptor superfamily – indeed, LNGFR was the first member of this large family of receptors to be characterized. 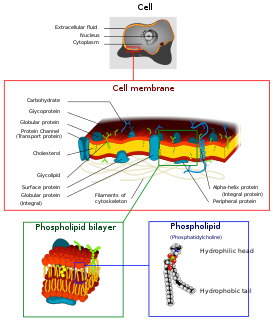 ATP-binding cassette sub-family B member 5 also known as P-glycoprotein ABCB5 is a plasma membrane-spanning protein that in humans is encoded by the ABCB5 gene. ABCB5 is an ABC transporter and P-glycoprotein family member principally expressed in physiological skin and human malignant melanoma. CD146 also known as the melanoma cell adhesion molecule (MCAM) or cell surface glycoprotein MUC18, is a 113kDa cell adhesion molecule currently used as a marker for endothelial cell lineage. In humans, the CD146 protein is encoded by the MCAM gene. Melanotransferrin is a protein that in humans is encoded by the MFI2 gene. MFI2 has also recently been designated CD228. CD93 is a protein that in humans is encoded by the CD93 gene. CD93 is a C-type lectin transmembrane receptor which plays a role not only in cell–cell adhesion processes but also in host defense. Periostin is a protein that in humans is encoded by the POSTN gene. Periostin functions as a ligand for alpha-V/beta-3 and alpha-V/beta-5 integrins to support adhesion and migration of epithelial cells. CUB domain-containing protein 1 (CDCP1) is a protein that in humans is encoded by the CDCP1 gene. CDCP1 has also been designated as CD318 and Trask. Alternatively spliced transcript variants encoding distinct isoforms have been reported. Adoptive cell transfer (ACT) is the transfer of cells into a patient. The cells may have originated from the patient or from another individual. The cells are most commonly derived from the immune system with the goal of improving immune functionality and characteristics. In autologous cancer immunotherapy, T cells are extracted from the patient, genetically modified and cultured in vitro and returned to the same patient. Comparatively, allogeneic therapies involve cells isolated and expanded from a donor separate from the patient receiving the cells. ↑ Irollo E, Pirozzi G (September 2013). "CD133: to be or not to be, is this the real question?". American Journal of Translational Research. 5 (6): 563–81. PMC 3786264 . PMID 24093054. 1 2 Singh SK, Clarke ID, Terasaki M, Bonn VE, Hawkins C, Squire J, Dirks PB (September 2003). "Identification of a cancer stem cell in human brain tumors". Cancer Research. 63 (18): 5821–8. PMID 14522905. ↑ Lai IC, Shih PH, Yao CJ, Yeh CT, Wang-Peng J, Lui TN, Chuang SE, Hu TS, Lai TY, Lai GM (2015). "Elimination of cancer stem-like cells and potentiation of temozolomide sensitivity by Honokiol in glioblastoma multiforme cells". PLOS One. 10 (3): e0114830. doi:10.1371/journal.pone.0114830. PMC 4357432 . PMID 25763821. ↑ Hemmati HD, Nakano I, Lazareff JA, Masterman-Smith M, Geschwind DH, Bronner-Fraser M, Kornblum HI (December 2003). 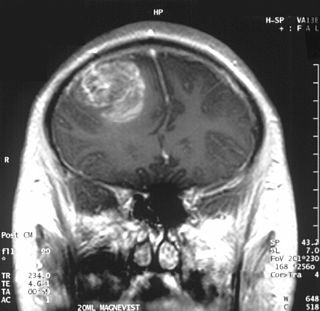 "Cancerous stem cells can arise from pediatric brain tumors". Proceedings of the National Academy of Sciences of the United States of America. 100 (25): 15178–83. doi:10.1073/pnas.2036535100. PMC 299944 . PMID 14645703. Bertolini G, Roz L, Perego P, Tortoreto M, Fontanella E, Gatti L, Pratesi G, Fabbri A, Andriani F, Tinelli S, Roz E, Caserini R, Lo Vullo S, Camerini T, Mariani L, Delia D, Calabrò E, Pastorino U, Sozzi G (September 2009). "Highly tumorigenic lung cancer CD133+ cells display stem-like features and are spared by cisplatin treatment". Proceedings of the National Academy of Sciences of the United States of America. 106 (38): 16281–6. doi:10.1073/pnas.0905653106. PMC 2741477 . PMID 19805294. Nishide K, Nakatani Y, Kiyonari H, Kondo T (August 2009). Lowenstein PR, ed. 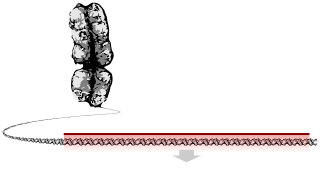 "Glioblastoma formation from cell population depleted of Prominin1-expressing cells". PLOS One. 4 (8): e6869. doi:10.1371/journal.pone.0006869. PMC 2729925 . PMID 19718438. Sun Y, Kong W, Falk A, Hu J, Zhou L, Pollard S, Smith A (2009). Chédotal A, ed. "CD133 (Prominin) negative human neural stem cells are clonogenic and tripotent". PLOS One. 4 (5): e5498. doi:10.1371/journal.pone.0005498. PMC 2676510 . PMID 19430532. Wu X, Spitz MR, Lee JJ, Lippman SM, Ye Y, Yang H, Khuri FR, Kim E, Gu J, Lotan R, Hong WK (July 2009). "Novel susceptibility loci for second primary tumors/recurrence in head and neck cancer patients: large-scale evaluation of genetic variants". Cancer Prevention Research. 2 (7): 617–24. doi:10.1158/1940-6207.CAPR-09-0025. PMC 2964280 . PMID 19584075. Yoshikawa S, Zen Y, Fujii T, Sato Y, Ohta T, Aoyagi Y, Nakanuma Y (October 2009). "Characterization of CD133+ parenchymal cells in the liver: histology and culture". World Journal of Gastroenterology. 15 (39): 4896–906. doi:10.3748/wjg.15.4896. PMC 2764966 . PMID 19842219. Friedman S, Lu M, Schultz A, Thomas D, Lin RY (2009). Breant B, ed. "CD133+ anaplastic thyroid cancer cells initiate tumors in immunodeficient mice and are regulated by thyrotropin". PLOS One. 4 (4): e5395. doi:10.1371/journal.pone.0005395. PMC 2671400 . PMID 19404394. Yeh CT, Kuo CJ, Lai MW, Chen TC, Lin CY, Yeh TS, Lee WC (September 2009). "CD133-positive hepatocellular carcinoma in an area endemic for hepatitis B virus infection". BMC Cancer. 9: 324. doi:10.1186/1471-2407-9-324. PMC 2753636 . PMID 19744348. Li CY, Li BX, Liang Y, Peng RQ, Ding Y, Xu DZ, Zhang X, Pan ZZ, Wan DS, Zeng YX, Zhu XF, Zhang XS (July 2009). "Higher percentage of CD133+ cells is associated with poor prognosis in colon carcinoma patients with stage IIIB". Journal of Translational Medicine. 7: 56. doi:10.1186/1479-5876-7-56. PMC 2715381 . PMID 19583834. Pras E, Abu A, Rotenstreich Y, Avni I, Reish O, Morad Y, Reznik-Wolf H, Pras E (August 2009). "Cone-rod dystrophy and a frameshift mutation in the PROM1 gene". Molecular Vision. 15: 1709–16. PMC 2732717 . PMID 19718270. Human PROM1 genome location and PROM1 gene details page in the UCSC Genome Browser .